MEPs condemned escalation in eastern Ukraine, provoked by Russia, and called for extension of the anti-Russian sanctions. 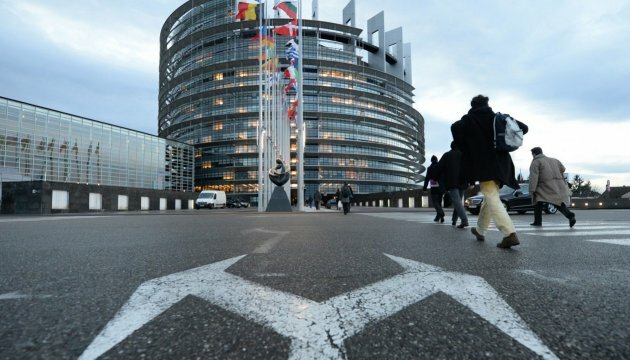 This was discussed during the European Parliament debates on deterioration of the situation in eastern Ukraine in Strasbourg on Tuesday, an Ukrinform correspondent reports. "First, the EU should proportionally strengthen the sanctions in accordance with the principle of "more for more". Second, Russia must be perceived in the Minsk peace process as the aggressor, not the participant in it," MEP from Poland Jacek Saryusz-Wolski said. Polish politician also noted that "the war in eastern Ukraine and against Ukraine is a real fact as the EU and the United States hesitate." The MEP expressed his belief in the need to move away from the "Normandy format" and to continue the political negotiations regarding Russia's aggression against Ukraine in the "Geneva format" with the participation of the EU and the US. Saryusz-Wolski noted that if the EU and the United States could not or did not want to defend Ukraine, at least weapons should be provided. German MEP Rebecca Harms, who unfolded the Ukrainian flag during the debates, also stated that the EU could only discuss the strengthening of anti-Russian sanctions after the escalation in Avdiivka. Dariusz Rosati, the Head of the European Parliament's delegation to the EU-Ukraine Parliamentary Association Committee, noted that the situation in eastern Ukraine still caused great concern. “New attacks of the Russian regular forces and their supporters against the Ukrainian servicepersons and civilians in Avdiivka led to great human and material losses. This is another example of violation of the Minsk agreements," Rosati stated. The Polish politician also called on the European Council to extend sanctions against Russia, as well as to consider the possibility of their further expansion in order to show the inadmissibility of aggression and war in Europe. In turn, Swedish MEP Anna Bildt said that the EU must stand shoulder to shoulder with Ukraine and intensify the political and economic support. “We must be resolute in the issue of extension of sanctions until the full implementation of the Minsk agreements and return of Crimea to Ukraine," Bildt said.